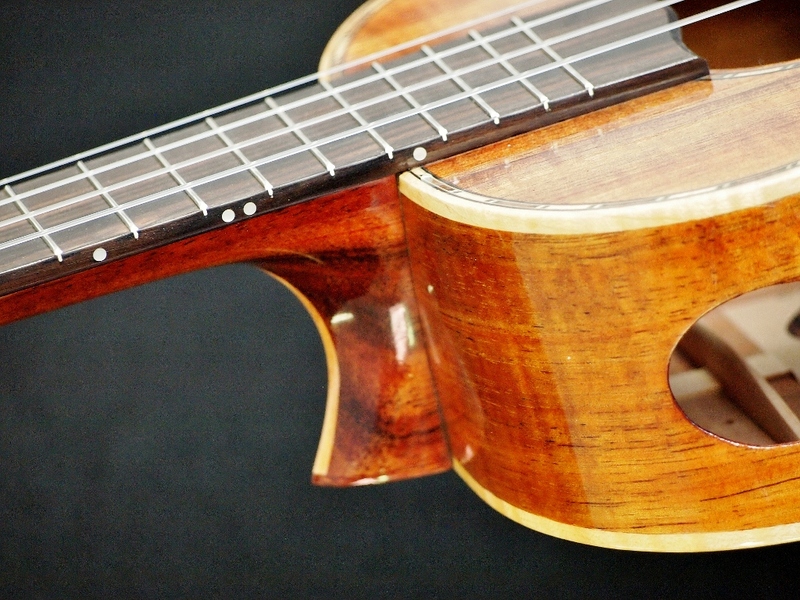 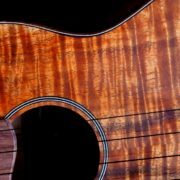 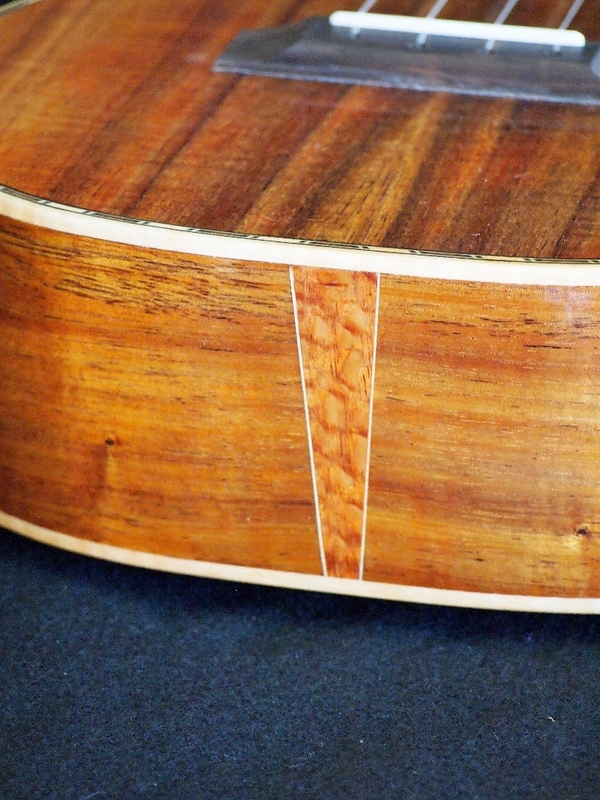 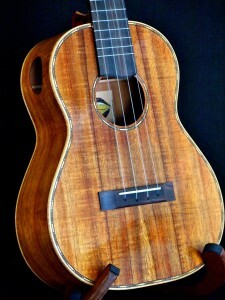 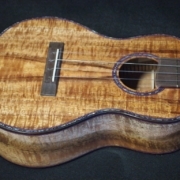 Here’s another custom ukulele with Koa from the island of Maui. 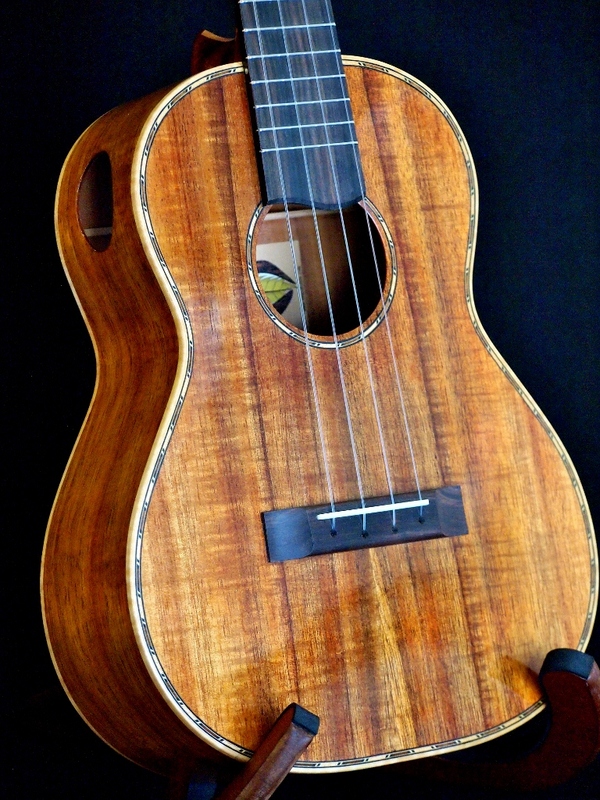 You don’t get Koa from Maui often, and I consider myself lucky to have found this. 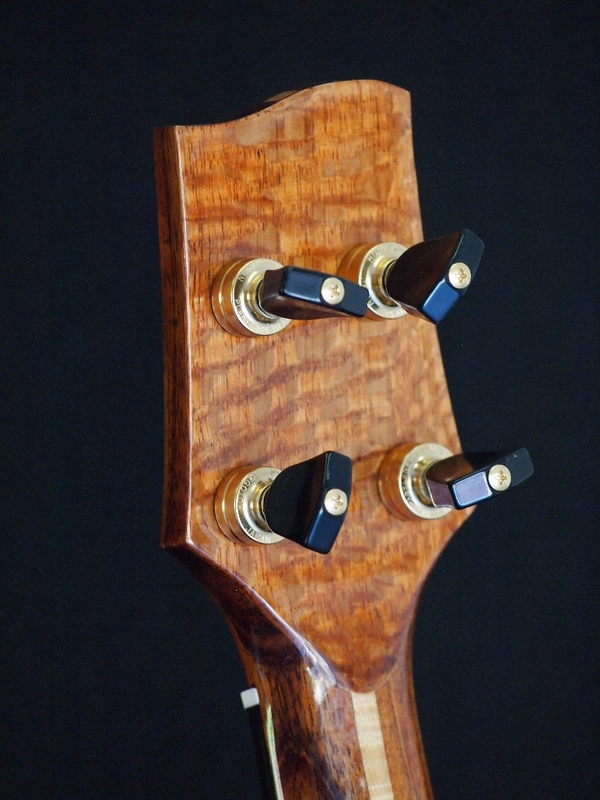 The instrument is bound with curly Oregon Maple to match the curly Maple neck lamination. 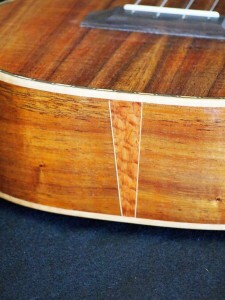 I have used a vintage-style purfling to accent. 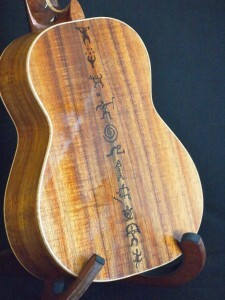 The back has my petroglyph pattern laser cut into it. 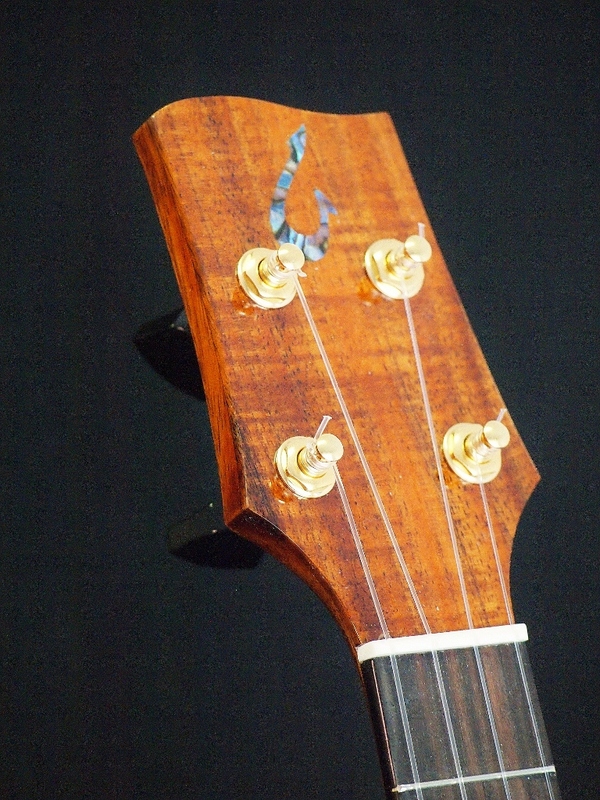 The head stock has a Paua Abalone Makau added for decoration (I ran out of Kimo’s). The accent wood is Australian Lacewood. 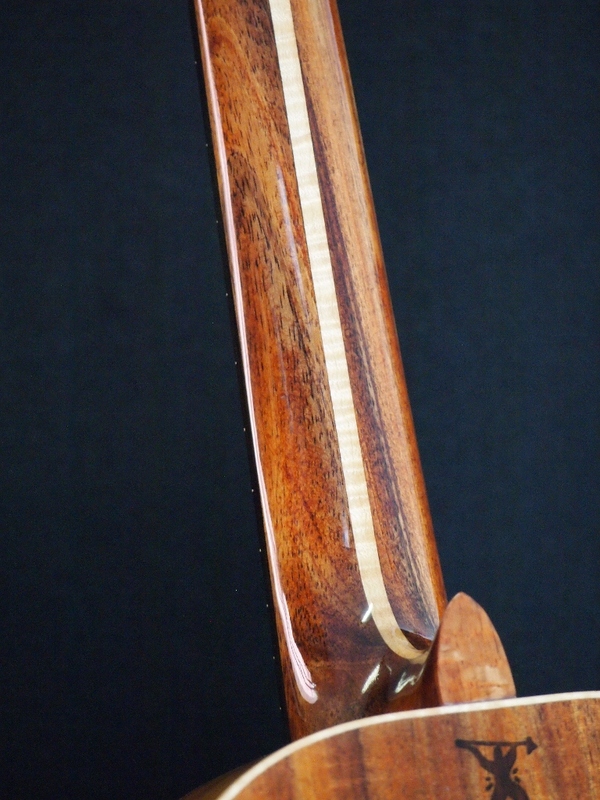 The fret board and bridge are Macassar Ebony. 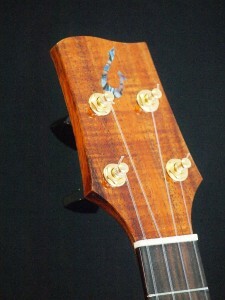 Once again I used PHD flourocarbon strings, low “G”. The tuners are GotohUPT 4:1. 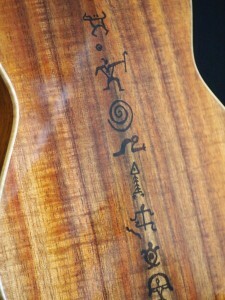 Onolishious!